By Dr. Panagiotis Karavitis Yet another Italian designer with beautiful electronics, only this time the looks are neo-classic. Or, even better: "retro-modern". I'm inventing words, aren't I? 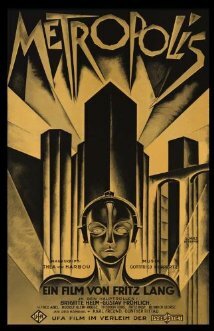 The latest line from Pathos reminds me of the film Metropolis. Squared edges, non-parallel surfaces and massive heatsinks finished in brushed aluminum. The visible tubes create that link between the modern and the classic that makes Pathos electronics so distinctive. Main system included the Endorphin CD player, Synapse pre, Adrenalin power amp and Frontiers Prime loudspeakers with their distinctive orientable mid-high frequency upper cabinet. Serving music an AMG Viella 12 turntable connected to the “In the Groove mk II” phonostage and the “Musiteca”, a music server with incorporated 24/192 DAC in pure Pathos style, thus finished in brushed metal for a total of 38 kgr! The Prime speakers with their adjustable directivity for the upper octaves managed to create excellent, holographic imaging in Cuban classic “Candela” from Buena Vista Social Club. Also in the room the Aurum headphone amplifier, with tube complement in the driving stage and MOS-FET in the output, adjustable impedance for excellent matching with all cans and retro-modern looks in typical Pathos fashion paired with top of the line Grado models. Less demanding headphones were connected directly to the Converto DAC which offers a small headphone amp. Any information about the cables used by Pathos (interconnect and speakers)? I’m afraid not. There was no sign of the cable manufacturer in the room or in the show program. Actually some of the exhibitors restrain from “promoting” cables as they want only their electronics to show off. Strange…But Pathos is always somehow mysterious about cables. In the brochure of my (Pathos, obviously) cd player and amplifier, they do stress the importance of using quality cables, underline that they use silver cabling…but when asked, refrain from giving a firm recommendation. The CD transport…. tell more, please! It is a complete CD player. Mechanism should be the CDM pro by Philips (excellent one) and features one tube on the output stage of each channel. Packs coaxial and optical digital outputs, xlr and single end analog ones. Live is even more beautiful than what appears on the pics.